It’s 1891. You just graduated from seminary, and have been assigned to four small mission congregations in the heart of Texas. A distance of about forty-five miles separates the two furthest-flung missions. 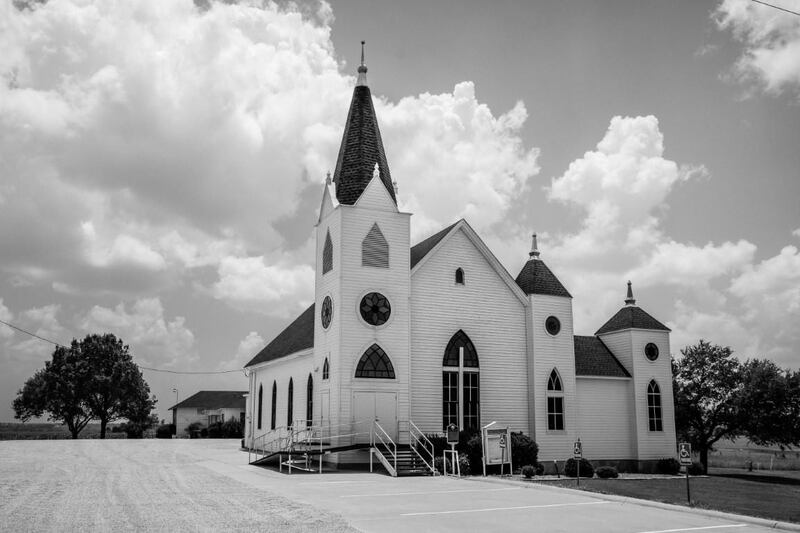 There aren’t many churches associated with your denomination in Texas; in fact, the first one that was established in the whole state is only about thirty years old! The Rev. E. P. Gesterling, of the Evangelical Lutheran Synod of Missouri, Ohio, and Other States found himself in just that situation. Given the dynamics of the LCMS in the late 1800s, he was probably from the midwest, and Texas would have been a major change for him. The four congregations were in Austin (St. Paul), Taylor (this mission did not take root), Hochkirch (now called Noack, Christ), and Thorndale (St. Paul). Travelling between the churches would have been a challenge, so Pr. Gesterling resided in either Taylor or Thorndale (depending on the source) and travelled by rail between his charges. Yesterday I told my son and daughter the story of these churches as we drove from Hutto to Thorndale for lunch at the Thorndale Meat Market (my daughter had been begging to eat there for days, and it doesn’t take much of an excuse to get me to make that drive). The history of these congregations is part of their heritage, and I want to do all I can to teach them about it! Three of these little congregations (Thorndale, Noack, and Austin) traced their roots back to the Wendish community of Serbin. I’m not sure if that’s the case with the Taylor group since that mission failed to take root (though I suspect St. Paul Lutheran Church of Taylor can trace its history back to that mission – this is one of many things I need to investigate). Pastor Gesterling served all four congregations until he left in 1893. At that time, the Austin congregation called its own pastor, and the Noack and Thorndale congregations entered a dual parish arrangement. I presume that the Taylor mission ceased to exist at about this time. On the way back to Hutto, we drove through Noack and I took this picture of Christ Lutheran Church of Noack. This is the third building to serve the congregation, and it was dedicated on October 29, 1916. Can anyone tell us how long the church in Noack held services in Wendish? We had ancestors who were Lutheran and lived nearby from about 1885 to 1905, and wonder if they attended that church, and if they were Wendish. We are writing a book for a family reunion and wish we knew the answer. We wrote to the church, but never received a reply. I do know that despite having come to Texas to preserve their language and culture (at least that was the case with the large group that arrived in December 1854), once they were here they found they had more in common with their German-speaking neighbors than their English-speaking neighbors, and the use of the Wendish language declined. St. Paul’s in Serbin was the last church to have regular Wendish services, and those stopped in 1920 when Rev. Herman Kilian (son of Rev. Jan Kilian) died. His successor, Rev. Schmidt, knew enough Wendish to use it one-on-one but didn’t conduct services in the language (at least often – though I found one reference to a Wendish service at Serbin in 1926). The article about speaks of St. Paul’s Thorndale as essentially being a German congregation (though I know one descendent of the Johann Winter mentioned in the article, and her grandmother did know a little Wendish) so I suspect the same was the case for Christ Noack. As far as your family possibly being Wendish goes – Weldon Mersiovsky (weldon@wendishresearch.org) could probably help you make that determination. He is very knowledgeable re: genealogy and holds workshops at the Texas Wendish Heritage Museum in Serbin several times a year. I could also take a stab at it based on the surnames, but I don’t have anywhere near the knowledge he has.